A few months back I began working on a project that eventually became known as Birth. For several years now I have been working strictly as a freelance designer. While I enjoy it, I miss working with a team of creatives. 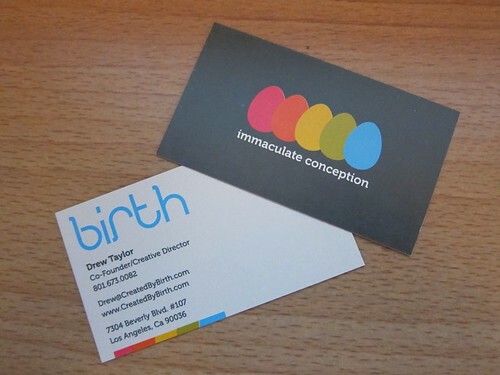 Birth is a collective of my closest and most talented friends and associates working together to create. We got our business cards in the other day, which for me was the first small step to what I hope will be something great. I am really excited for future projects and to start creating with a team again.